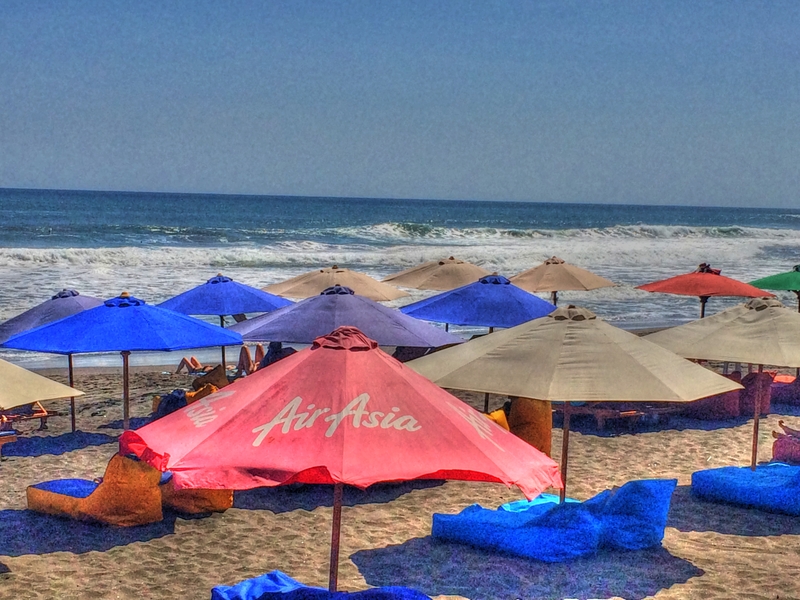 Canggu (pronounced “chan goo”) is located on the east coast of Bali, Indonesia. It’s about a 45 minute to one hour drive from Denpasar airport by taxi. This is our first stop outside of America. I noticed a lot of trash around the streets while walking. After seeing that and getting bit 8 times on the shoulder (at once) by mosquitos, I thought “I’m not going to like it here”. My whole perspective completely changed after a good night’s sleep. I learned from a previous trip not to make any rash decisions on the first day. I’m glad I didn’t. 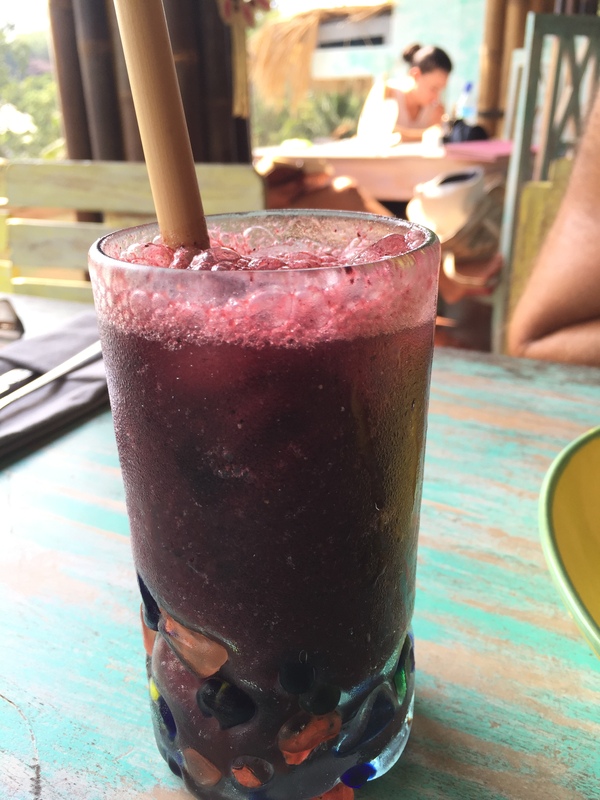 Things got better after renting a bike and a full day at the beach. 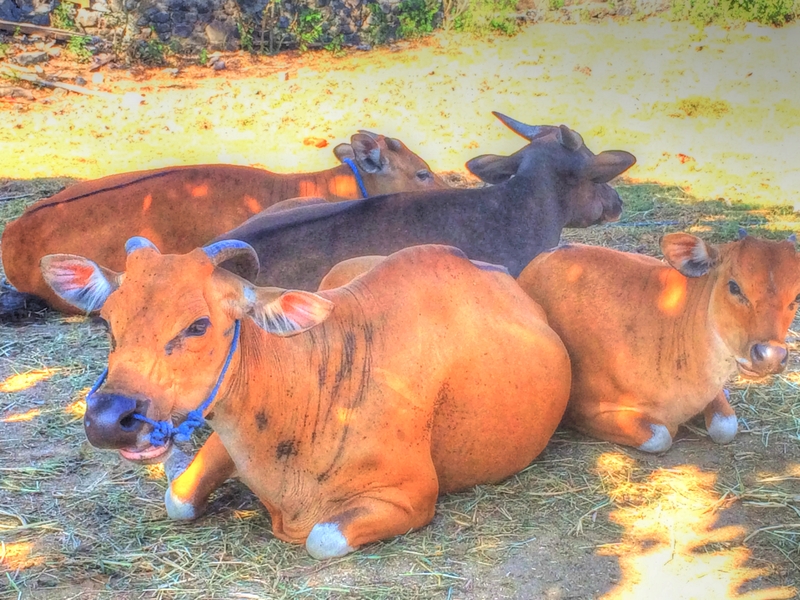 I saw a lot of Bali cows laying around in fields. Some fields had rice growing and some were just dirt. But there were cows on most of them. They were tied to a rope implanted in the ground. Most of them were chilling out. I later learned they were not on break from plowing the fields. They were laying around getting fat enough to eat! I felt bad for them but I know people have to eat. I myself LOVE beef. 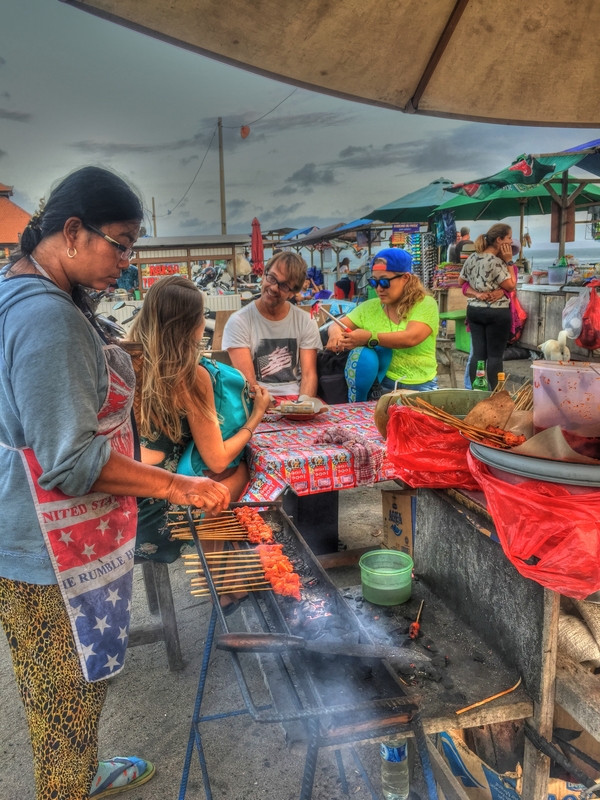 The beach in Canggu had a ton of vendors along the parking lot of the beach. They were selling food and clothing. This lady was selling chicken saté. She made her own little restaurant in the parking lot. She even had a table and chairs! If there was a title for the “best looking crowd”, Canggu would win. Most of the people I saw were in shape and good looking. It could have been because the majority of the crowd was younger than most tourist I’ve seen. Lots of beer drinking twenty somethings on vacation from wherever. But lots of eye candy. Even the “older” (over 25) folks looked great. This is a very active town. I don’t surf but this was a HUGE surfing crowd. There were tons of surf lessons, surf day trips, surf rentals and of course surfers. Even our driver to Ubud was a surfer. The food is average here. I think they are use to the younger crowd who is more interested in drinking than eating. I’m not saying it was all average but for the most part there weren’t any 5 star restaurants to brag about. A place worth mentioning though was Betelnut Cafe. They had some really creative healthy dishes for breakfast. They are know for their Naga Bowl (pink dragonfruit, banana, and yoghurt puree topped with granola, shredded coconut, cashews and fruit). If your in town you should try it.